Movie Mash-up: THE STRANGERS vs. THE PURGE! This past Friday I met up with some friends to see the new film, The Purge. The previews seemed promising albeit a lot like 2008’s The Strangers. Was all the buzz (both on-line and on the big screen) worth a trip to the theater? How does this film stack up against the similarly themed The Strangers? Buckle up, horror fans, it’s time for another Terror Dave mash-up! THE STRANGERS: Features a dysfunctional couple dealing with internal tension before being stalked by a group of masked maniacs. THE PURGE: Features a dysfunctional family dealing with internal tension before being stalked by a group of masked maniacs. THE PURGE: Victims isolated in their palatial fortress-turned-prison, with a security system rivaling that of Fort Knox. THE STRANGERS: Features lead female character, Liv Tyler, most notable for her fantasy role in Lord of the Rings. 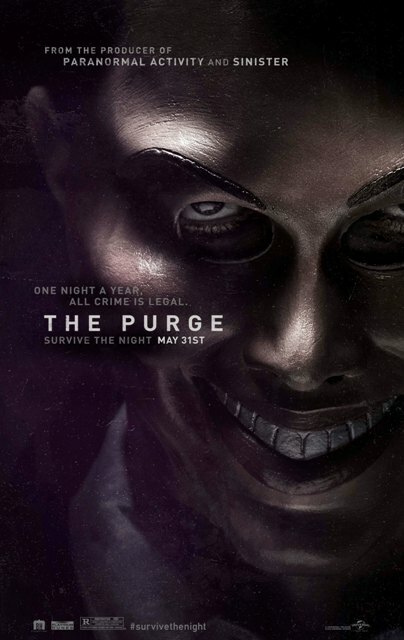 THE PURGE: Features lead female character, Lena Headey, most notable for her fantasy role on Game of Thrones. 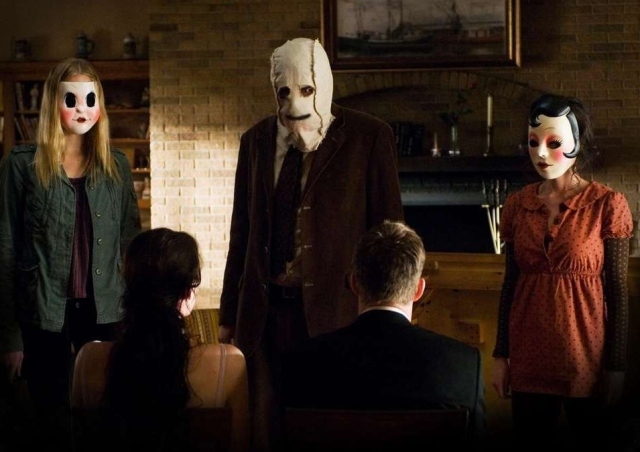 THE STRANGERS: Budget $9 Million…brought in a total of $82 Million at the Box Office. THE PURGE: Shoe-string budget of $3 Million brings in an impressive $36 Million its opening weekend alone! THE STRANGERS: No social commentary…just 86 minutes of nail-biting tension. THE PURGE: Enough social commentary to give even Michael Moore a run for his money! THE STRANGERS: Features on-going scenes of cat & mouse; with a killer looming behind his/her unwary victims in the dark. THE PURGE: Features on-going scenes of cat & mouse; with a killer looming behind his/her unwary victims in the dark. THE STRANGERS: Victims are out in the middle of nowhere with a dead cell phone and unable to reach help. THE PURGE: Victims are in the middle of a gated community but, since this happens to be the year 2022 and the one night a year when crime is legal…no medical nor law enforcement services are available even they did reach em! THE STRANGERS: Very tense until scenes of intense violence erupt…causing viewers to hide their eyes! THE PURGE: Gets a bit tedious until scenes of intense violence erupt which, for some reason, caused this viewer (and his friends) to cover their mouths from laughing. And the reason for these gruesome nights of blood shed? 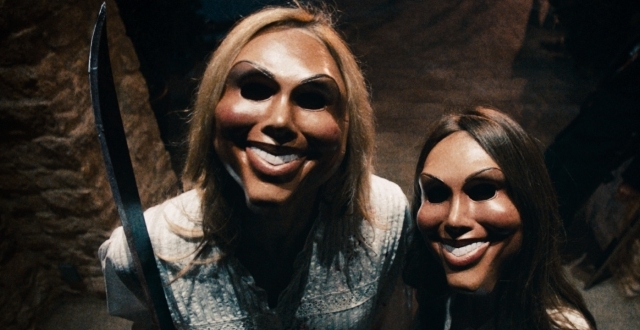 THE PURGE: Because they were home…and everybody (including their kids) hates them! THE STRANGERS: How can you not sympathize with the beautiful Liv Tyler, nor feel bad for her jilted would-be fiance? This was one couple you felt sorry for even before the bad guys show up! THE PURGE: Family totally unlikeable and downright “purge-worthy.” I had more sympathy for Headey’s character in Game of Thrones…who’s a contemptible, incestuous whore! PS. Ms Headey, PLEASE stay a blonde! The verdict? Stay home and rent The Strangers! I don’t mind movies designed to make me think but The Purge was so heavy with social commentary it pretty much does all the thinking for you. There’s a lot of build-up for relatively short bouts of action, and the twist ending was more predicatable than shocking. The characters are more likeable and the tension/violence much more effective. This entry was posted in Movie Reviews and tagged The Purge, The Strangers. Bookmark the permalink. ← Enjoying STAR WARS DAY…without having to go far, far away!